In a press release on Wednesday the Annie Duke and Jeffrey Pollack led Epic Poker League added the final piece of the puzzle as the long awaited debut of the exclusive poker league is just days away, announcing that they have signed a television deal with CBS and Discovery Communications’ Velocity Network. 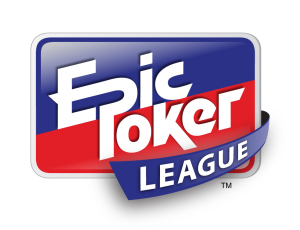 In all, the two networks will air 20 hours of the inaugural season of the Epic Poker League, with Velocity handling the bulk of the load (13 hours of original programming compared to CBS’ 7 hours) as well as reruns of the CBS broadcasts. If you are unfamiliar with the Velocity Network there is a good reason, as Velocity will begin life on October 4th, 2011 taking the place of Discovery’s HD Theater Network. Handling the production side of things will be 441 Productions, a company with 23 Emmy awards and a long history of creating the highest quality televised poker shows, having worked on ESPN’s World Series of Poker coverage from 2003 until 2010. Farther down in the press release, an interesting duo was announced in the broadcast booth, as veteran anchor and sports commentator Pat O’Brien will team up with a more familiar face in the world of televised poker Ali Nejad. What at first seemed like a rehashing of the failed Professional Poker League has morphed into one of the most anticipated poker leagues of all-time –especially after Black Friday decimated the televised poker landscape. With TV time at a premium, which is where the sponsorship dollars are to be found, it’s quite likely that the Epic Poker League could draw poker’s biggest names and be a success right from the outset. This entry was posted on Wednesday, July 27th, 2011 at 10:10 am and is filed under Poker News. You can follow any responses to this entry through the RSS 2.0 feed. You can leave a response, or trackback from your own site.